Task 2: Go online and find one or more photographic images that much one of the following current stories. Picture Credit to 'The Scotsman' The Stone Roses reform. 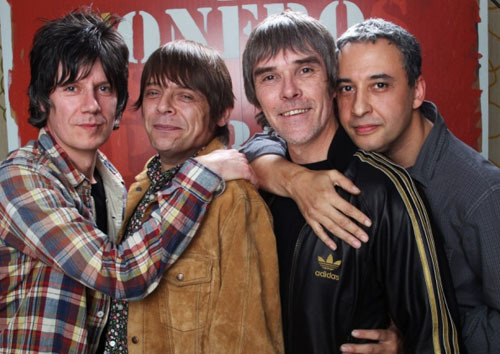 There was much speculation about The Stone Roses reforming for many months, but when it was finally revealed on the 18th October 2011, there were many happy people. Ian Brown, John Squire, Gary Mounfield and Alan Wren have agreed to put their differences aside and play two gigs this year followed by a world tour the following. Mani admitted “There’s something magical happens when us four are in a room together. You can’t put your finger on it.” We hope the magic stays for a while yet!